Gardening. What else are you supposed to think about in February? 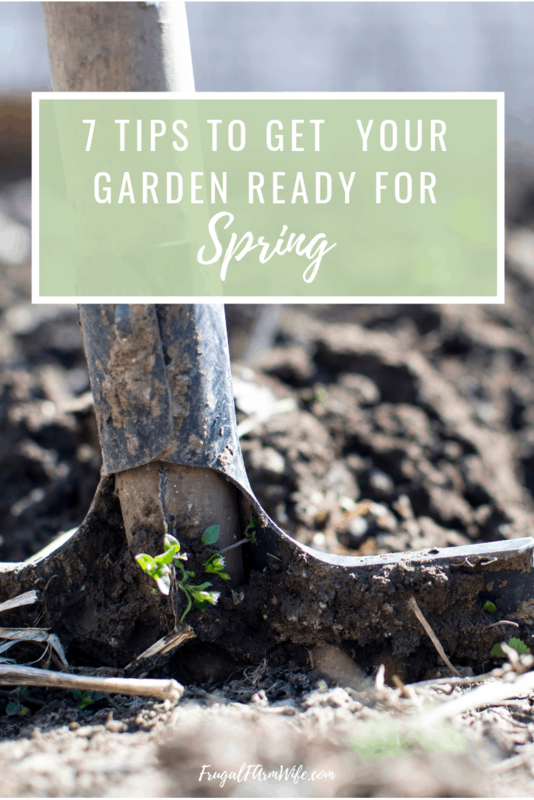 These 7 tips will help you get your garden ready for spring! Winter’s been long, we’re ready for spring – to be outside again, putting seeds in the soil, enjoying the sunshine. And on top of that, we’re finding seed catalogs in the mailbox every day. But it’s too early to actually start gardening in most parts of the US, so what are we supposed to do? Like my mom always said, you can never be too prepared. Fortunately, you don’t have to completely give up growing things in the middle of winter – You can grow superfood sprouts right in your kitchen! But we all know the real garden season is coming, here’s what you can do to prepare. 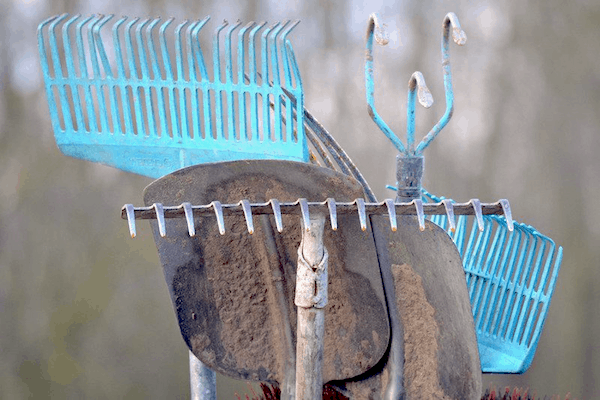 If you have gas-powered tools such as a tiller, you may want to give them a once over, make sure they’re still running, and take them into the shop if need be before the spring rush hits and repair shops are overly busy. Take stock of your non-powered tools too. Make sure your shovels, hoes, trowels, pruning tools etc. are in good shape. Yesterday I took a hoe out of the shed to use, only to find the head loose, and spinning around every time I tried to dig a weed with it. Glad I caught that before weeding season really hit! Don’t forget to include hoses and sprinklers in our tool maintenancing! Whether you’ve gardened previously or not, take an hour to sketch out some garden plans. Get a rough idea of where you want to plant what. 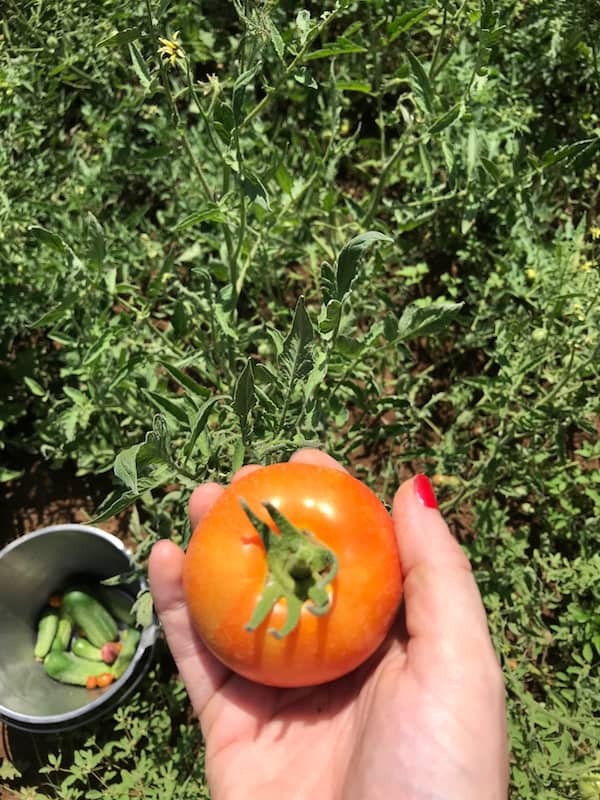 As you plan your garden area, think about the kinds of plants you want to plant, and whether you’ll need to build or buy trellises for varieties such as pole beans, and tomato cages or stakes. For these tall plants, you will also need to take into account how they may shade other plants in your garden. You will likely want to grow these types of plants on the north side of your garden to minimize shade casting. Once you have something of a plan for your garden, you have an idea how many garden beds you need. 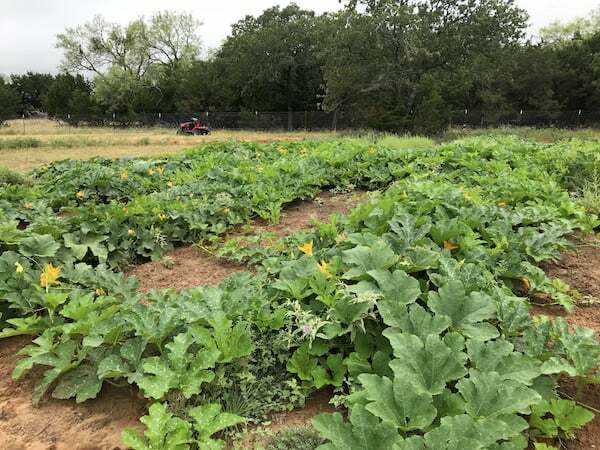 True, not everyone goes the raised bed route, but it’s helpful to have defined garden spaces, and raised beds are one of the best ways to accomplish that. 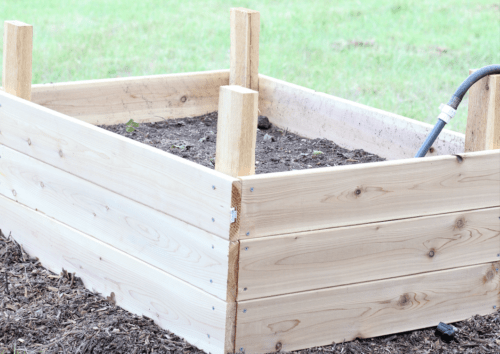 Go here to learn how to build a simple sub-irrigated garden bed, or watch this video to see an even simpler raised bed build. Know what you have, so you don’t over order, and know what seeds are out of date and likely need replacing. Especially if you have raised beds, it’s easy to put off getting them cleaned up for spring – it’s not as simple as re-tilling a flat garden area. Now is the time to pull out the old plants and weeds, and loosen up the soil preparatory to spring planting. We had a few really nice days last week to take advantage of, and once we got to work, getting those beds cleaned up only took part of the afternoon! Have you been composting your table scraps? Now is the time to mix that composted organic matter into your garden beds! That’s okay! Now is the time to start looking for a local farmer who’s willing to let you haul off his mountains of manure. We live in an area heavily populated with dairy farms, and surprise! Dairy farms produce a lot of manure. It’s not uncommon to drive by and see small mountains of manure here and there in a feed lot. The thing about these manure piles is that many of them are already composted, or semi-composted, and ready to go on your garden. At the very least, you can haul it home and get the composting process started so you can amend your soil later on. 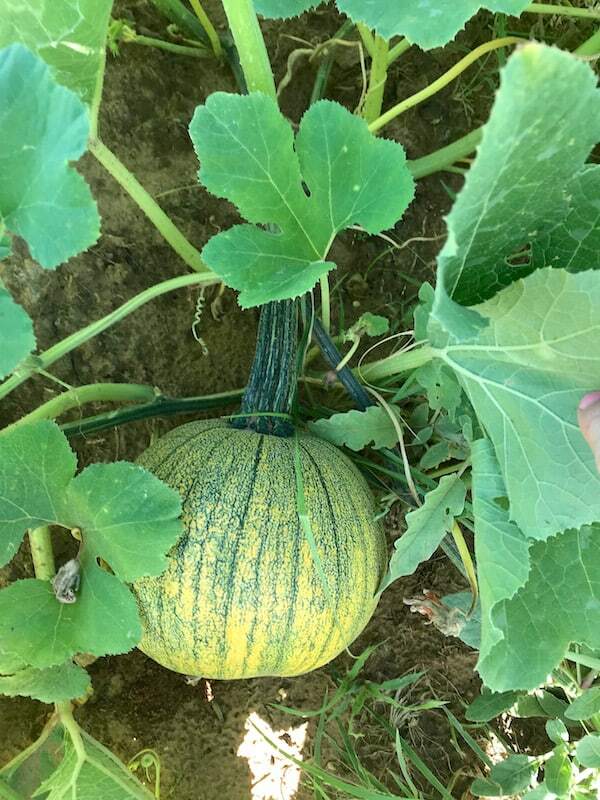 New to composting? Grab a copy of this book to get you started right! Once you’re relatively prepared to plant, know what you want to grow, put your seed order in as early as you can. Why? So your ready to go as soon as the wether allows you to start planting! 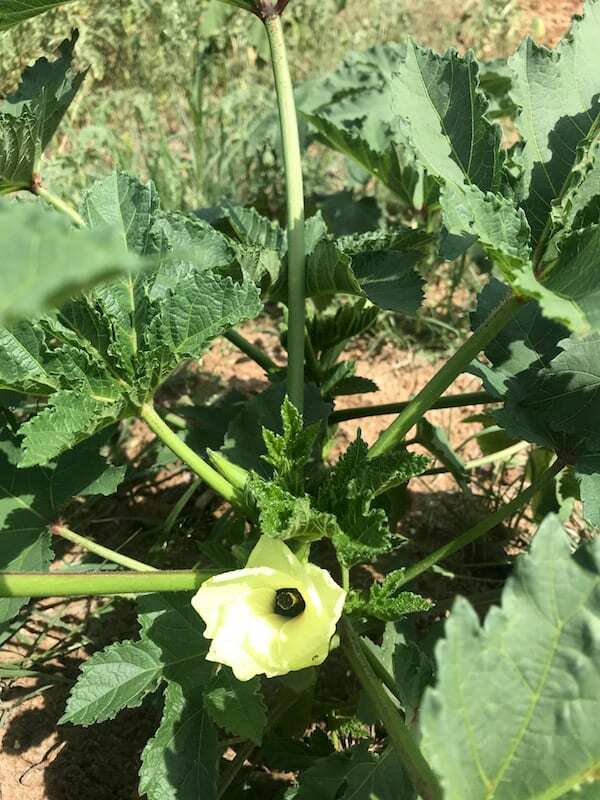 Too often seed orders get put off, windows of opportunity get missed, and we end up with wormy sweet corn because we didn’t get it planted until the hot weather brought the bugs on. Or we completely missed our opportunity to grow cool whether crops like spinach, beets, and lettuce. There you have it! 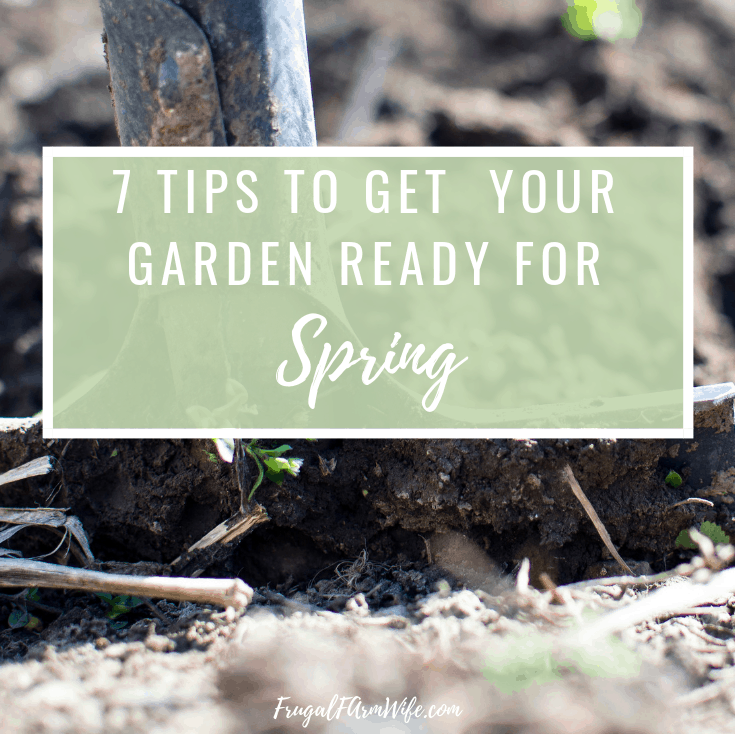 7 tips to get your garden ready for spring, and help you start your gardening game strong!